At MIS, our aim is to prepare every student to be a competitive candidate for postsecondary education. College guidance starts from freshman year; it is important that out students achieve high grades all through high school. Universities around the globe look at high school grades starting freshman year. We encourage students to meet as many college and university representatives, either through college fairs in school or outside. We host university information sessions for students regularly throughout the year. We take great pride in preparing our students. Every student takes a career test at least once during the high school year and we insist they stay on a 4-year plan to make sure they have the opportunity to get into a university of their choice. MIS is a PSAT test center and we recommend that all our 10th and 11th grade students take the PSAT as the first step to post-secondary education. 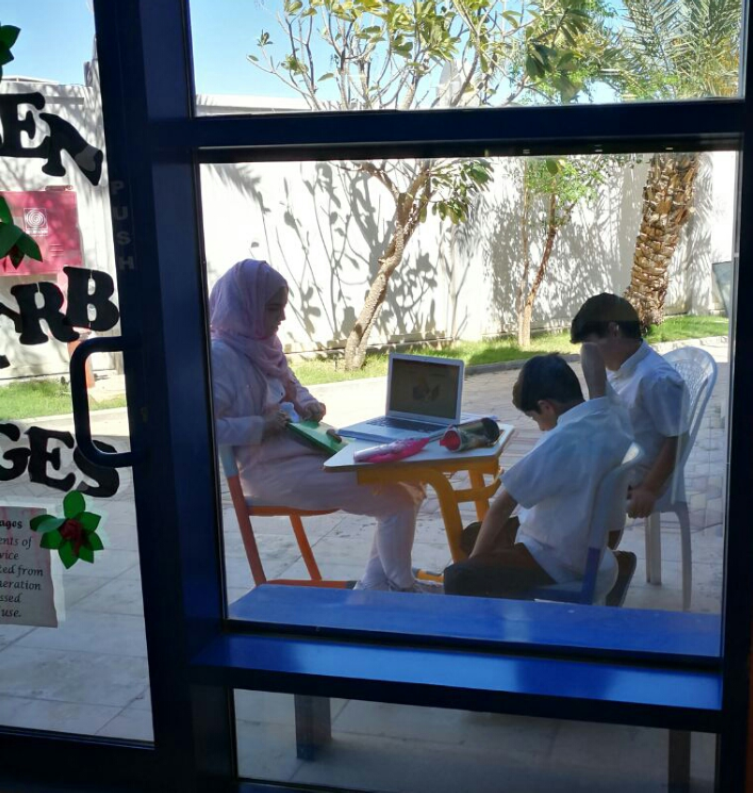 Middle East International School currently offers English as a Second Language (ESL) intervention services for elementary, middle and high school students with special learning difficulties to support English-language acquisition, help them overcome any language barriers, and achieve development in reading and language arts. Specific intervention is planned and woven into each day to provide student support that is tailored to student needs. ESL classes are taught by qualified teachers who are specialized in the ESL field and who have worked and lived extensively in diverse multicultural environments, such as the one found within MIS. This is particularly important as such professionals possess a good understanding of the linguistic factors which combined with the individual factors form the characteristics of the ESL learners within the school community. Their goal is establishing a set of program components that work for the children within the MIS community given the community’s goals, demographics, and resources. The ESL teacher has an Individual Education Plan (IEP) for every student. The plan is prepared after the students are referred to her by the class teacher. She administers a diagnostic test to the students along with an interview and observation. In addition to an Academic Guidance Counselor, MIS also serves students through a School Counselor. The School Counselor's main job duties are assisting parents and students with social and emotion needs. The School Counselor also has a rich knowledge base in learning difficulties and can make recommendations along with the school doctor for testing that may be needed to better serve students and inform teachers. MIS does not employ a full-time special needs teachers.